One of the seasons in which we can exploit our imagination and good taste, as at any other time, is Christmas. 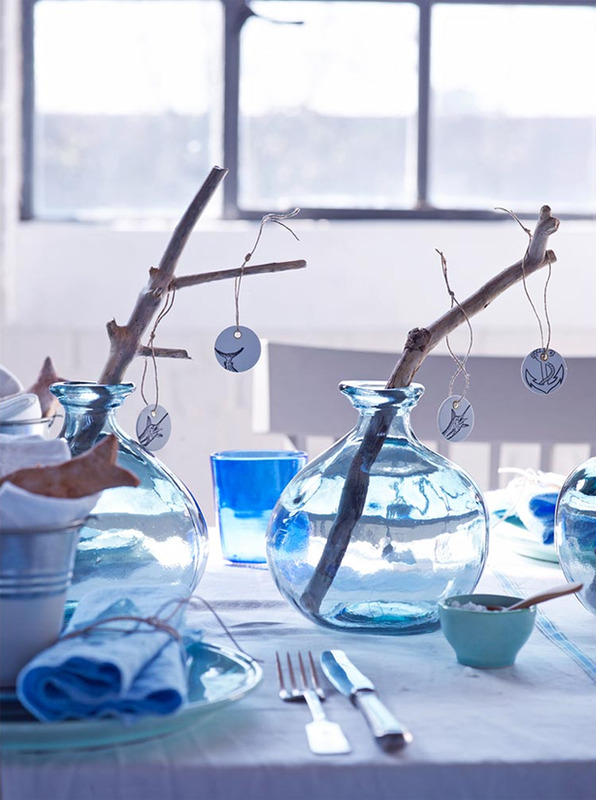 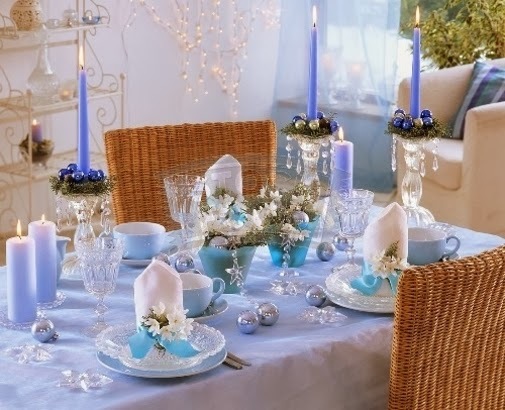 Here are some decorating ideas with blue, that can help you surprise your guests. 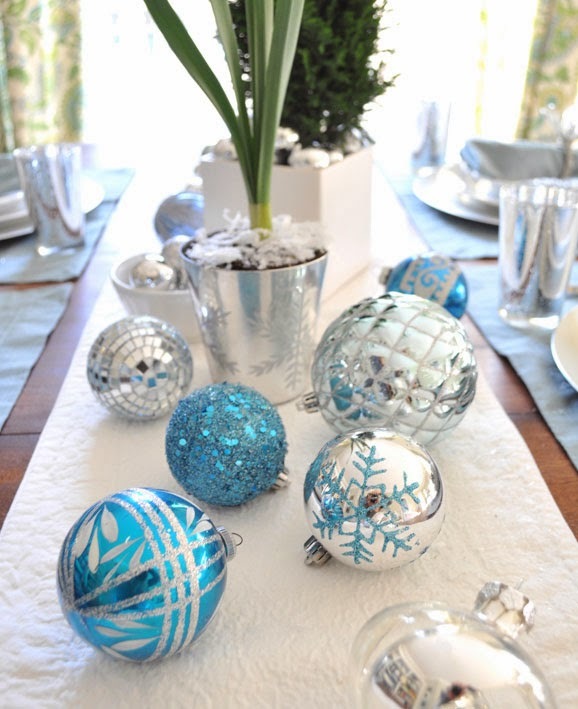 Decorating with turquoise and silver beads. 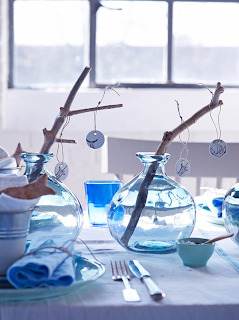 Decorating with vases inside celestial branches, which match with the vessels of the same tone. 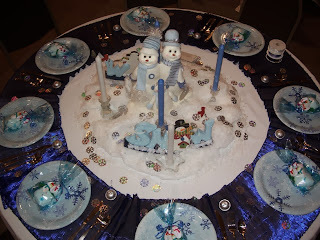 This table is used celestial candles and some snowmen same color. For this decoration was placed at the base blue tablecloth and white roads crossed over in the middle you have a centerpiece with blue spheres. 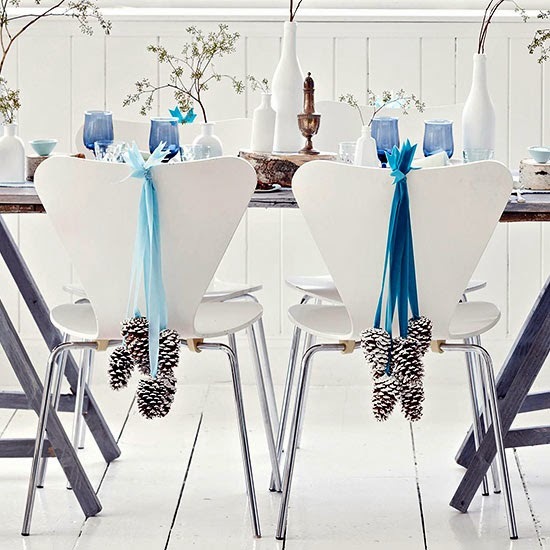 If you want to give autumnal tone to your decor, this is a good way. 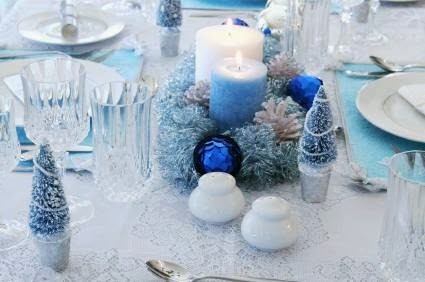 Combine blue and blue tones, very good idea for the holiday season. 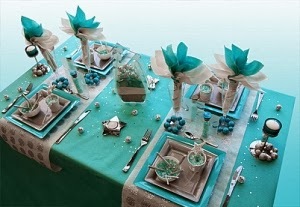 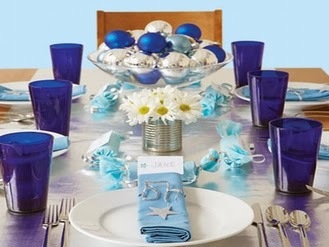 For this table only used small blue accents like ribbon napkins. 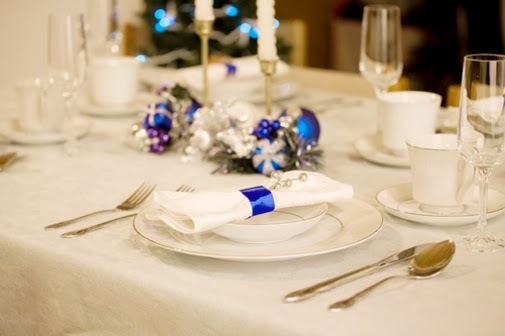 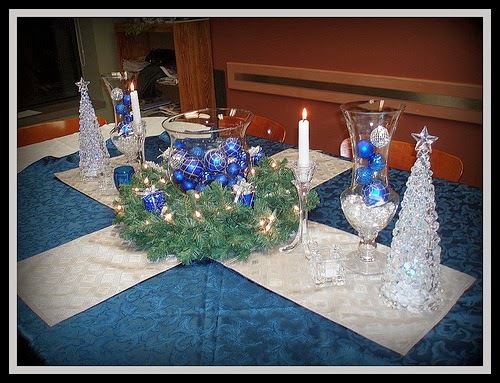 Candles celestial thick, thin blue candles, blue and white napkins cups are perfect for decorating a holiday table. If you want to surprise everyone, be careful to decorate the chairs were placed here pines with blue ribbons.